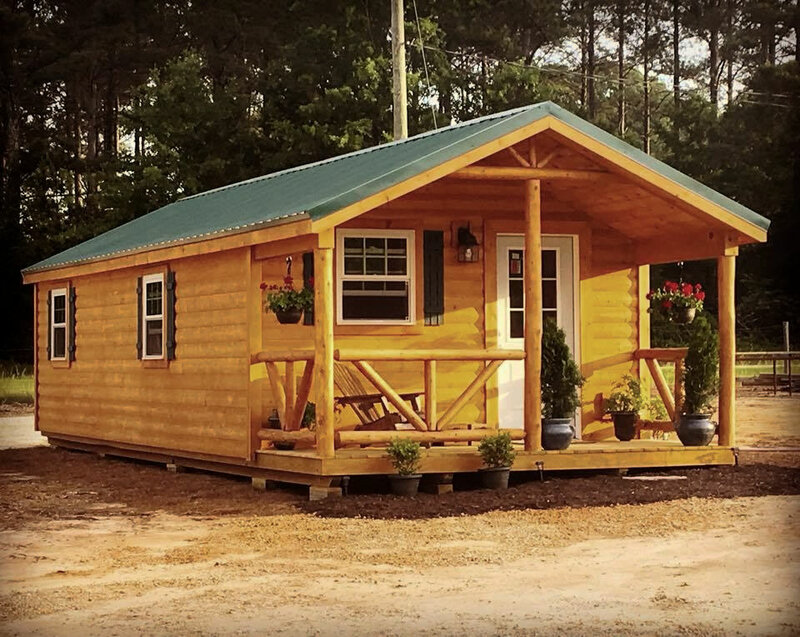 Just saw this modular log cabin on Facebook Marketplace. 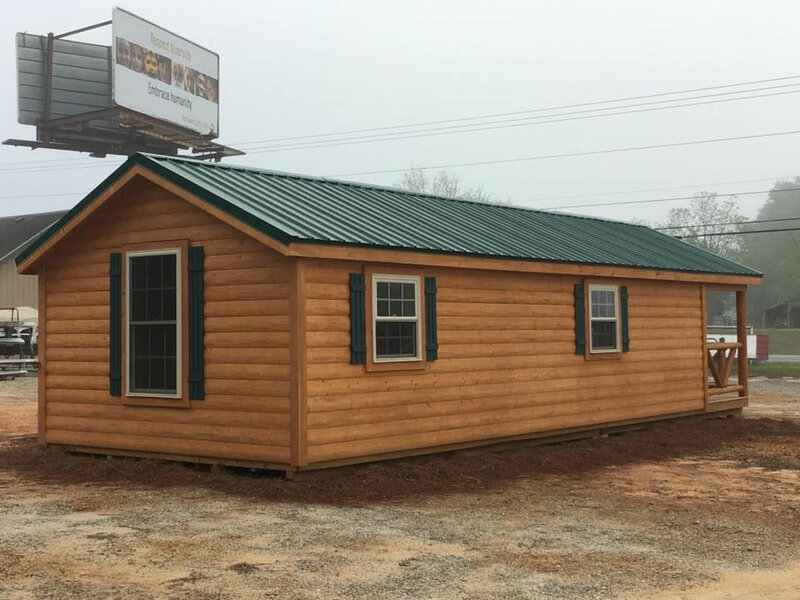 Includes REAL log siding, log porch, metal (or shingle) roof, 3 insulated windows, 5/8″ tongue and groove flooring and more! Woodtex Cabins are the best value on the market. 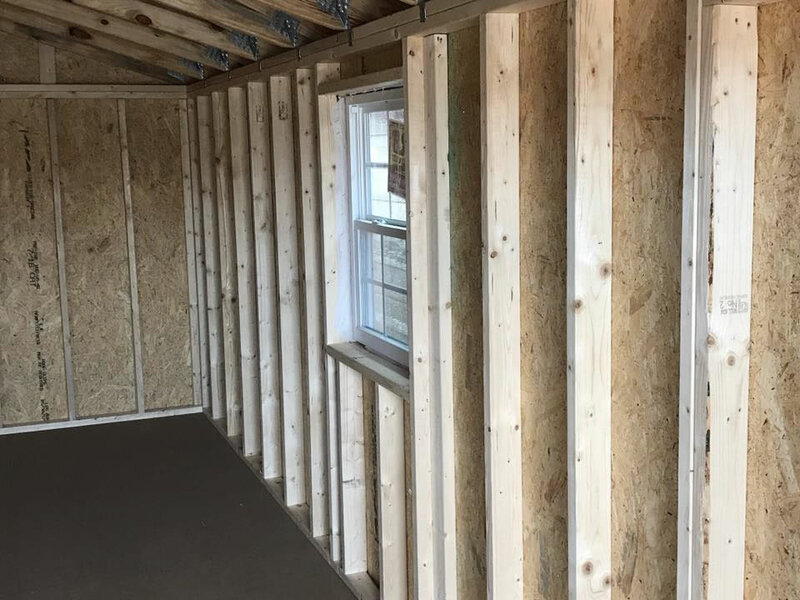 They’re constructed like a house with 2×4 or 2×6 wall studs and 2×6 floor joists spaced at 16″ on center. 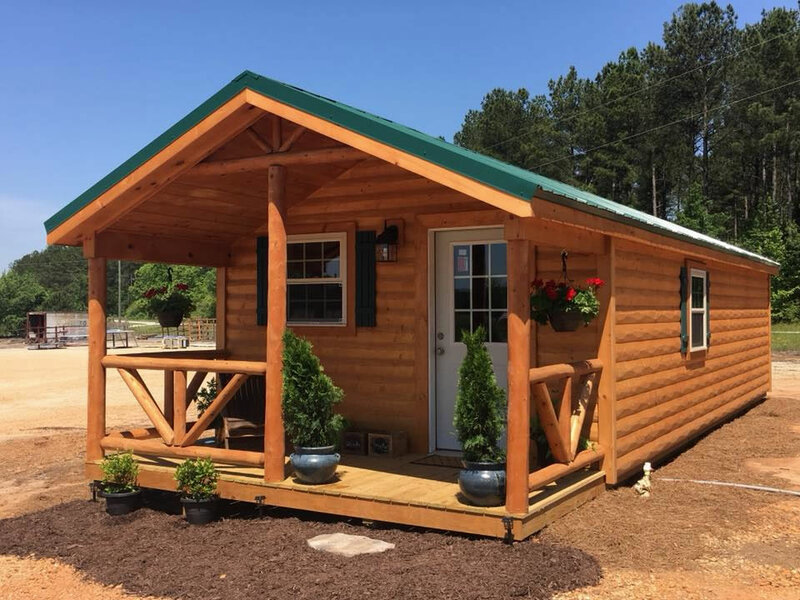 Manufacturer’s warranties on everything from the roof, to the siding and flooring; these cabins are built to outlast the competition! 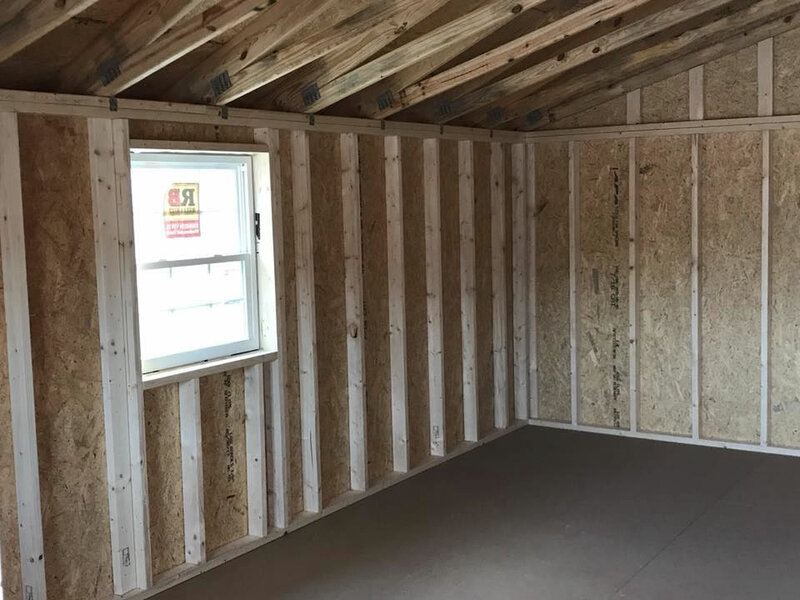 All Woodtex Buildings can be custom built to meet your specifications at no extra cost! Check out their design your own tool! 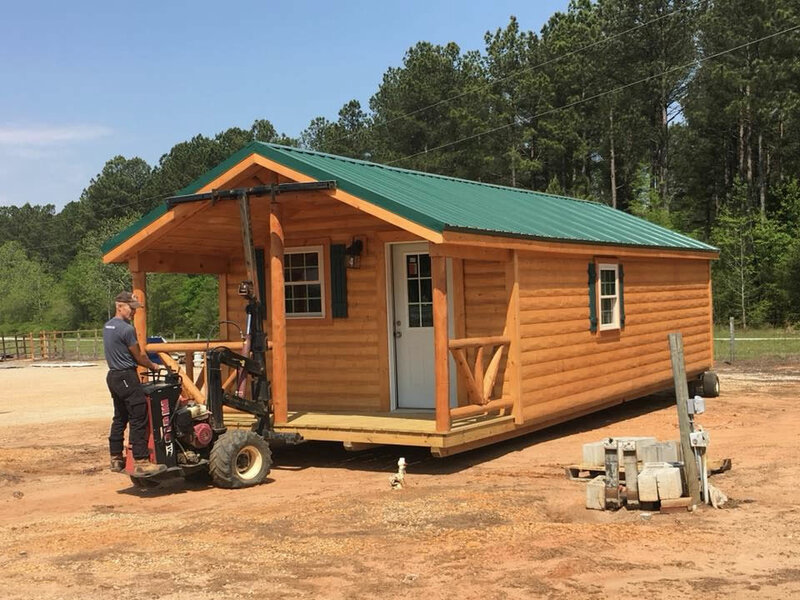 Modular Log Cabin – Set up on your land. 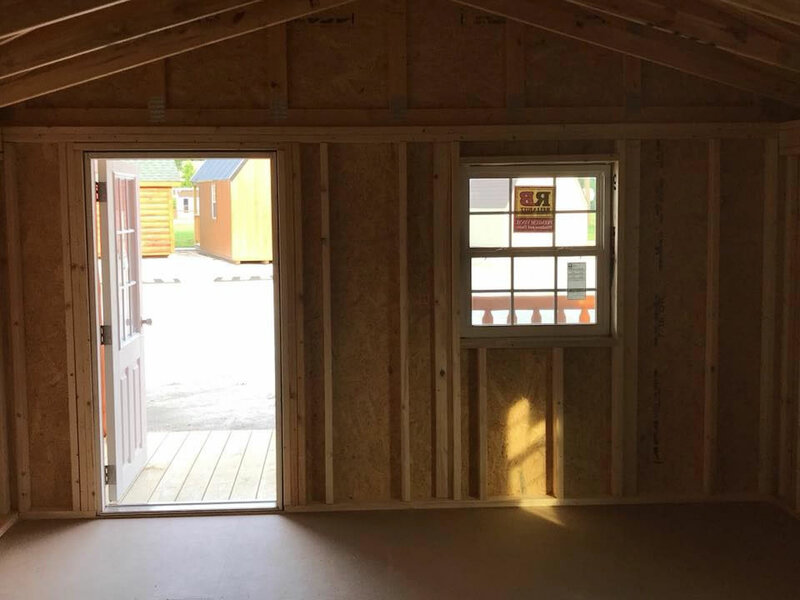 The back of the Modular Log Cabin – Plenty of windows! I thought they had added a doggy door at first, but it is just the light shining in from one of the windows. The interior is unfinished to complete any way you want. The interior is unfinished. Add walls any way you want.